Body acne is just as big a skin concerns as facial acne. In fact, “bacne” is almost always harder to treat because it is tough to reach. Does Glytone Back Spray finally give you the answer for this inconvenient, embarrassing acne? We need to look at the ingredients before we can recommend using Glytone Back Spray. 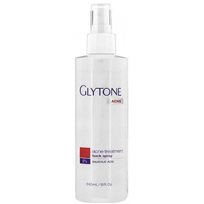 Glytone Back Spray is an acne-fighting product developed to eliminate body acne on the back and shoulders.The Glytone brand has been around for several years. Glytone is attached to the international company Pierre Fabre Group and has been building a reputation in the health and beauty industry. Glytone Back Spray is part of a complete skincare line to erase acne completely. As a spray, Glytone Back Spray is able to layer the entire back with acne medication easier than creams or cleansers. The bottle has a 360° nozzle designed to make applications simple. The fundamental ingredient in the Glytone Back Spray is 2% Salicylic Acid. 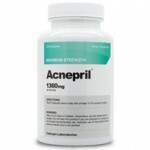 Salicylic Acid is a powerful over-the-counter acne medication. Salicylic Acid is known to remove dead skin cells and cleanse the skin from acne-causing impurities. This ingredient also has the strength to reduce inflammation and swelling. The only other active ingredient in Glytone Back Spray is Benzalkonium Chloride which has antibacterial properties to keep the skin clear. Is Glytone Back Spray Safe? Minor side effects from using Salicylic Acid include irritated, dry, or red skin. Sometimes, your skin may even peel. Try applying Glytone Back Spray once a day to test your tolerance. If body acne doesn’t budge, apply Glytone Back Spray as necessary. 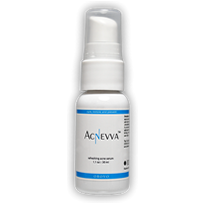 Overall, Glytone Back Spray is beneficial in healing existing acne. However, this product lacks hydrating agents that could help alleviate the side effects of the Salicylic Acid and potentially prevent future breakouts. If you decide this product is for you, definitely use other moisturizers to keep the skin hydrated for strength. 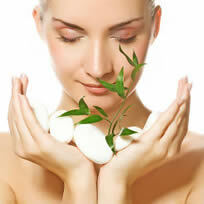 Be aware that combining acne treatments and products could increase your chances of skin irritation.